After a divided Supreme Court of Missouri found the legislature’s $350,000 statutory cap unconstitutional 2 year ago, opponents of letting juries decide just how victims should be compensated said the sky was going to fall in Missouri. 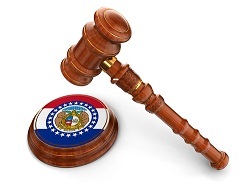 Last September, Missouri Supreme Court nixed a statutory limit on the amount of punitive damages that can be awarded against defendants. Tort reformers screamed doctors would flee, malpractice rates would skyrocket, and no one would want to do business in Missouri. This never happened. But now, some in the Missouri legislature want to pretend that never happened and want to take another shot at caps. In 2005, the Missouri Legislature passed HB 393 which placed a $350,000 cap on non-economic damages in medical negligence claims. 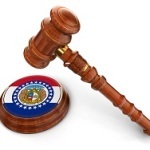 In Watts v. Lester E. Cox Medical Centers , the Supreme Court of Missouri struck down § 538.210’s — the state’s medical malpractice noneconomic damage caps that became law in 2005 — for violating the Missouri Constitutions’ right to trial by jury. The Court boldly overruled its own prior opinion in making that tough call. Then, last September, the court struck down the state’s statutory limit on punitive damages. This time, there was no debate. The court was unanimous. The thinking behind the cap was to avoid frivolous lawsuits largely in medical malpractice case. Proponents struggle to point out these cases that were filed and not immediately dismissed. Why? Missouri, like Maryland, Tennessee, and many other states, requires an affidavit of merit in medical malpractice cases. This means that within 90 days of filing a claim, the plaintiff must file an affidavit that there is a written opinion of a qualified health care provider maintaining that the “defendant health care provider failed to use such care as a reasonably prudent and careful health care provider would have under similar circumstances and that such failure” was a cause of the plaintiff’s damages. Who is putting these kind of cases together? Lawyers that would be out of business in the blink of an eye if they were constantly filing cases without a certificate of merit. I predict this effort will go nowhere.